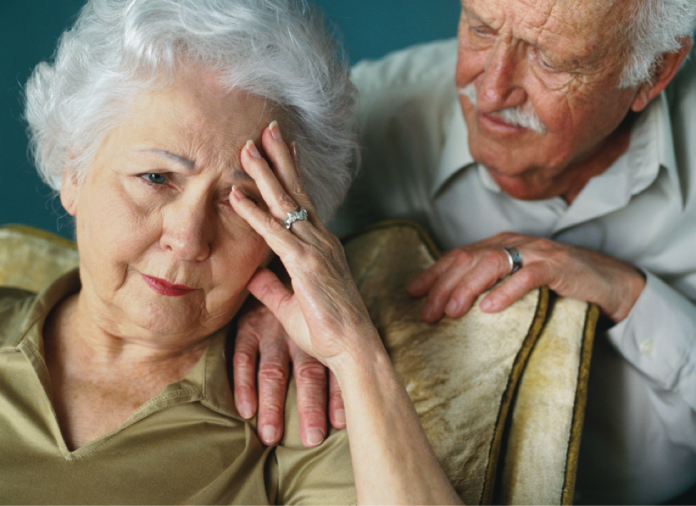 The onset of dementia can generate a lot of fear and concern for everyone involved. The patients are already worried as they can observe a decline in their mental faculties. Then there are the family members who become patients’ primary caregivers and support system. According to research by The Alzheimer’s Association, around 15 million Americans are caring for family members with dementia. Dealing with dementia can be challenging and confusing for the entire family. Unfortunately, the early signs of dementia are hard to recognize and are usually mistaken for symptoms of aging. These symptoms may include memory loss, confusion and alternating periods of normal and lucid behavior. A person who is calm and affectionate one day may become agitated and withdrawn the next. As a result of this uncertainty and fluctuating behavior, family members, especially those caring for the patient, usually struggle on a daily basis. When dementia remains undiagnosed, family members face recurring behavioral changes and are not sure when to seek professional help. In case you are observing unusual changes in your loved one, we urge you to reach out to your doctor immediately. The doctor will schedule some tests that will help in the accurate diagnosis of the disease. You can even get your loved one to take an online brain test, or gero-cognitive test, which checks a person’s mental performance. Most of the brain test reviews available online are positive. If you’re going through the usual ups and downs of caring for a loved one with dementia, here are some valuable tips to help you. Patience is essential when it comes to dealing with anyone with a chronic medical condition. It is even more important if you are caring for someone with dementia. Most dementia patients are in a perpetual struggle as they try to regain the thinking and language skills they once had. Not being able to communicate as comfortably as before leaves them agitated, stressed, and confused. This is why it is important for you to try and relieve the emotional pressure they feel every day. If you are also struggling with a lot on your plate, then we recommend you get some help. Rushing to get all things done at once, all by yourself, will only make the situation more challenging. The only way to keep everyone [and everything] on track is to develop a routine. You will notice that even your loved one will be more prepared to take on the day and feel less anxious this way. People with Alzheimer’s disease are comfortable following a fixed routine every day. A routine allows them to become aware of and grow comfortable with the activities they have to indulge in each day. Sudden changes in the plan can leave patients confused, and thus agitated. Plus, having a routine can also help you as a caregiver by eliminating any last-minute frustration. While this may seem like an obvious thing to do, not many caregivers make an effort to do it. Don’t make the mistake of asking complicated or open-ended questions from those with dementia. A question such as, “what would you like to eat for lunch today?” may sound very simple to you, but might not be for a patient. As dementia gradually impairs their ability to initiate, plan or complete an activity – an open-ended question may increase their confusion. As a caregiver, keep in mind that their brain is slowly losing its ability to connect pieces of information or respond coherently. So, try a less complicated question such as, “would you like to have some pasta?”. The key is to stick with questions that require a simple ’yes’ or ’no’ reply. Make it a point to schedule some form of physical activity in your patient’s daily routine. Not only will it benefit you physically and mentally, but will also help slow down brain aging in your loved one. According to research, being physically active can help fight against symptoms of dementia. Exercise stimulates blood circulation to the brain, which helps create more neuron connections. A 20-minute workout session per day can enhance focus and clarity and act as an energy booster for the patient. Brushing your loved one’s hair or holding their hand while walking are seemingly simple gestures, but can have a profound effect. A simple touch can make a person with dementia feel safe and understood. It shows them that you are there for them in their struggle. In fact, recent studies prove that making a fist can stimulate the brain to boost recall. Most caregivers are so busy looking after their loved ones with dementia that they forget to take care of themselves. To avoid caregiver’s burnout, make sure to take some time out for yourself every day, even if it is only for a few minutes. Join a local or online caregiver support group and talk to other people who are in the same situation as you. Caring for a family member with dementia is not easy. It can be very demanding and stressful. Empathizing with their situation can help you go a long way in trying to improve their quality of life. Try to keep them engaged in ways that build focus. Remember, while caring for someone with dementia can be difficult, if handled with love and sensitivity, it can turn out to be a journey of spiritual and physical enrichment for both of you. What are the challenges you faced when caring for someone with dementia? We’d love to hear your thoughts in the comments below.